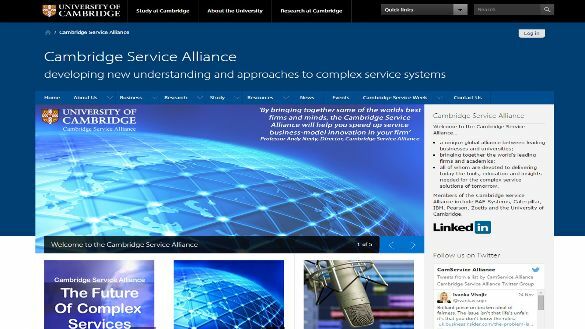 Cambridge Service Alliance delivering today the tools, education and insights needed for Complex Service Solutions tomorrow. 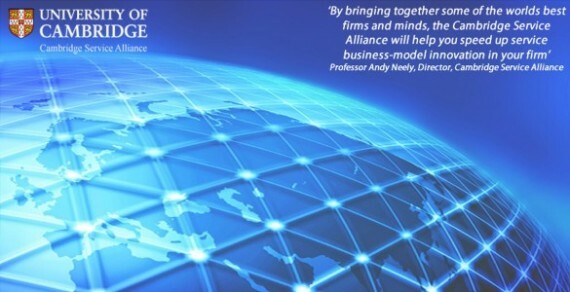 The Cambridge Service Alliance is a unique global partnership between businesses and universities. It brings together the world’s leading firms and academics, all of whom are devoted to delivering today the tools, education and insights needed for the complex service solutions of tomorrow. Conduct insightful, yet practical research to improve the design and deployment of high-performance complex service systems. Create and develop industrially applicable tools and techniques that deliver competitive advantage. Provide an unparalleled network of academics and industrialists that share experience, knowledge and insight in how better to design and deploy high-performance complex service systems. Develop and deliver public and member-only education programmes to raise the skill levels of organisations.